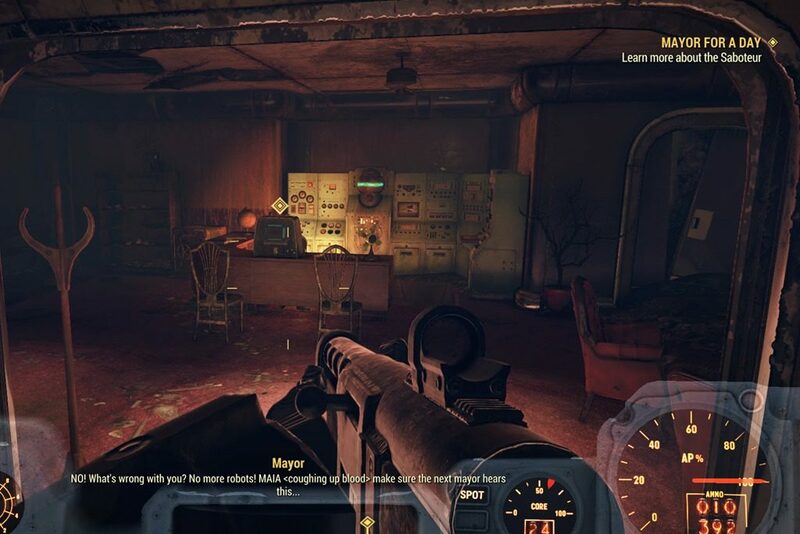 Mayor For A Day is one of the side quests in Fallout 76 which will reward you with a legendary weapon if you complete it. 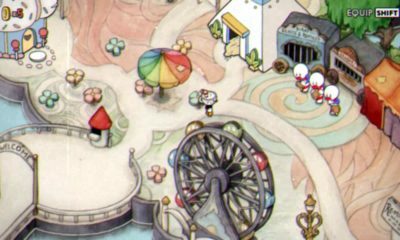 In this quest, you will need to investigate the mayor’s office which located in Watoga Municipal Centre. 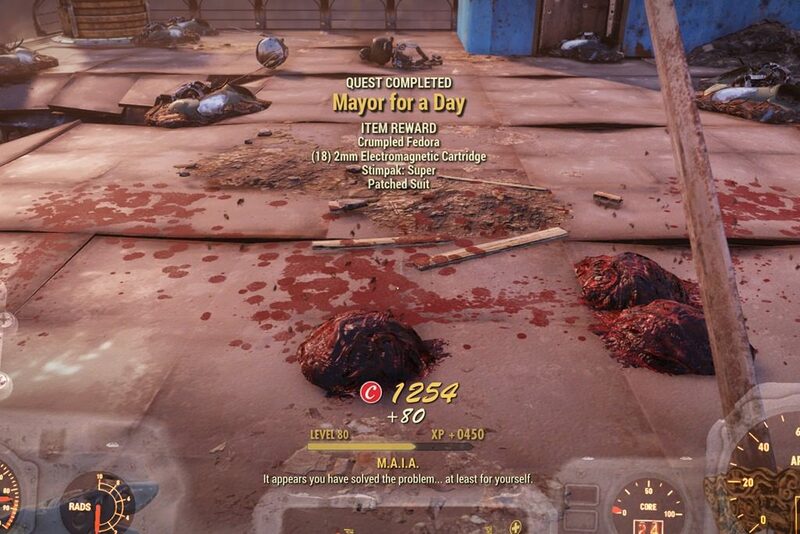 So, let’s start the ‘Mayor For A Day’ quest in Fallout 76! 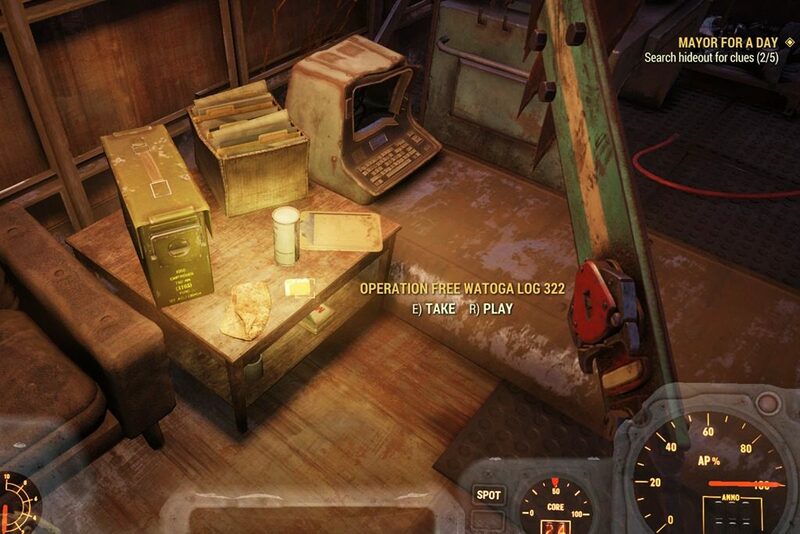 When you approach Watoga down in Cranberry Bog, you should receive a transmission in your Pip-Boy asking you to check out the Mayor in the Watoga Municipal Center. 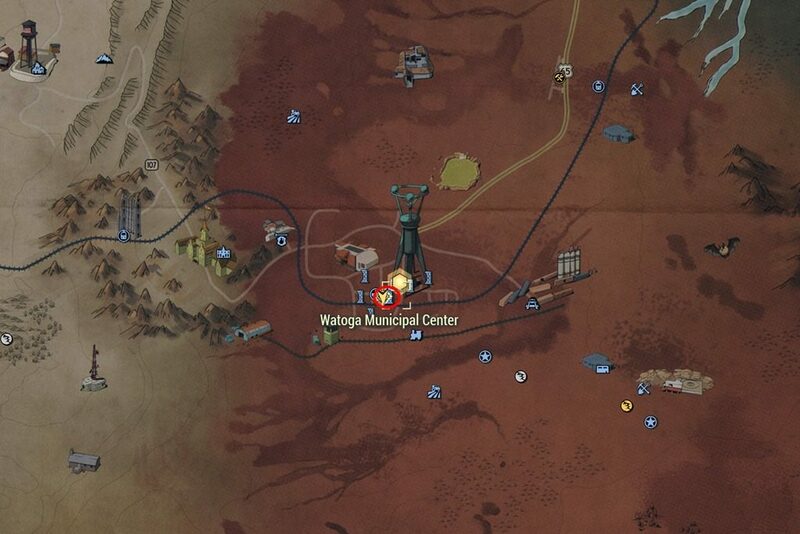 So, head to the Watoga Municipal Centre to find the mayor’s terminal. The Mayor’sofficer is a bit hard to reach, once you take the elevator, you need to climb up rest of the floors manually, and you will find the office at the very top. 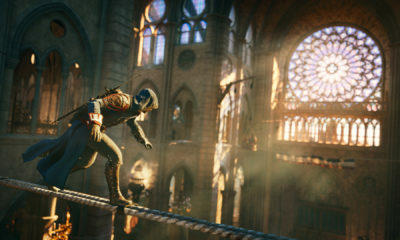 From here, you need to learn more about the Saboteur and also find where the Saboteur’s hideout. 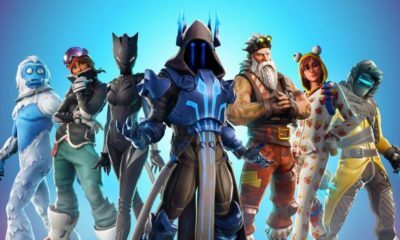 Interact with the terminal, select Read this! [HIGH PRIORITY] followed by Mayor for a Day. 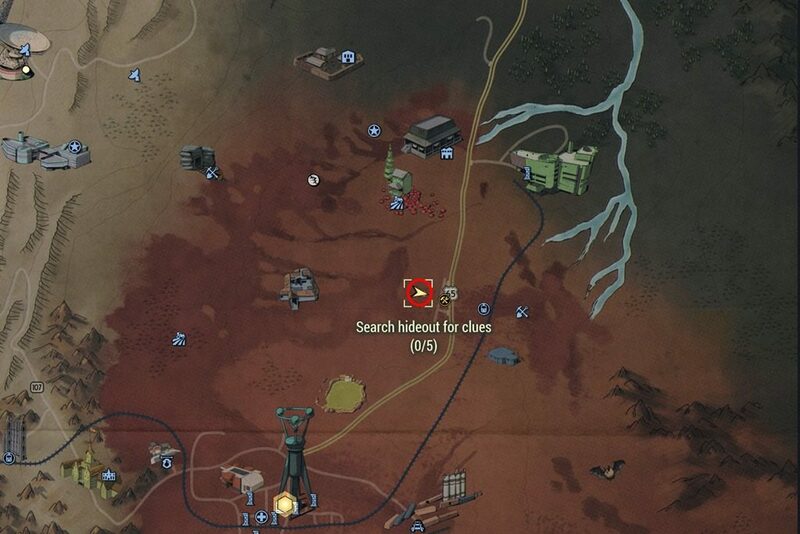 You will find the Saboteur’s Hideout is right by Abandoned Bog Town. 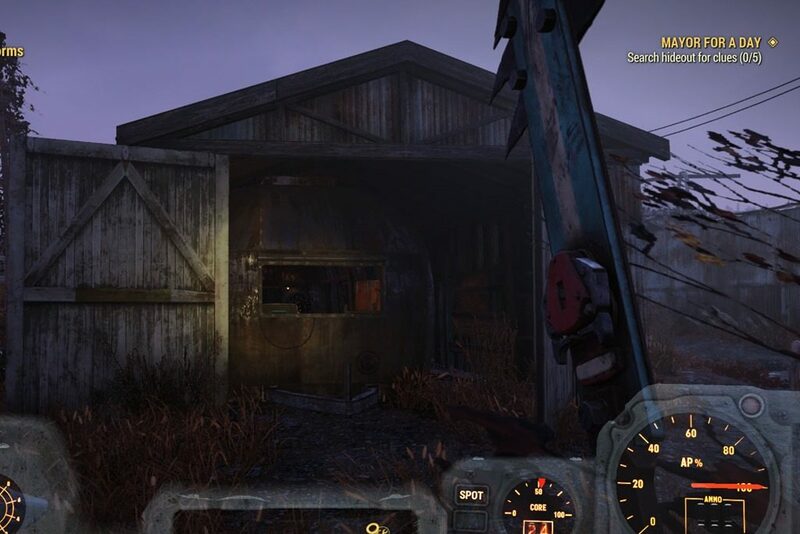 Now search for a barn with a trailer inside. 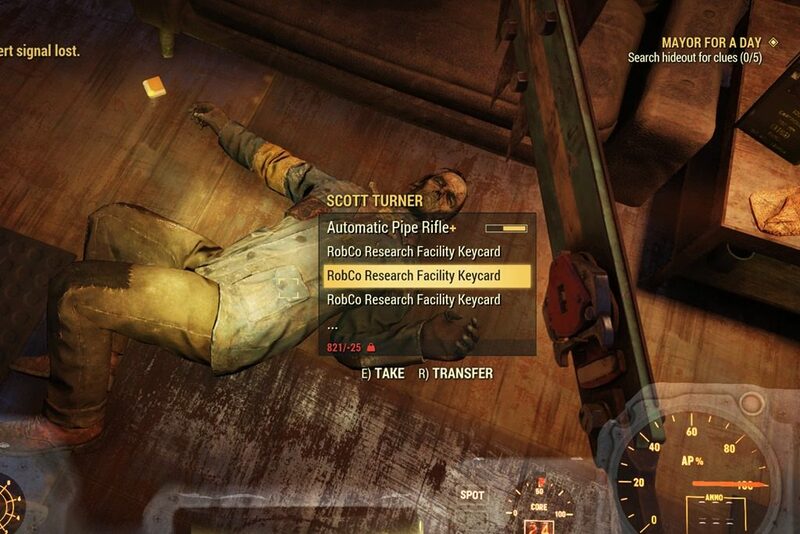 The first clue is to search Scott Turner’s corpse for the RobCo Research Keycard, you need to press Transfer button, open the menu and then select the Keycard with the quest marker. 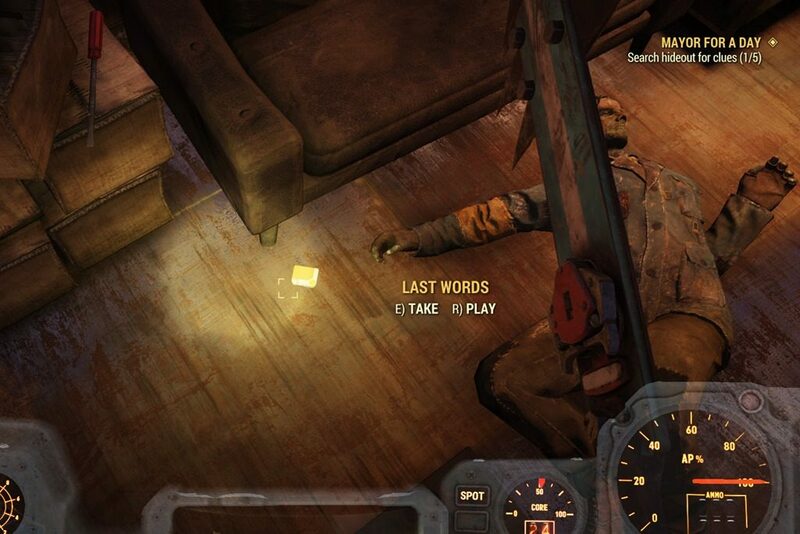 The second clue is you have to take the holotape Last Words. The third one, you need to take the holotape Operation Free Watoga Log 322. 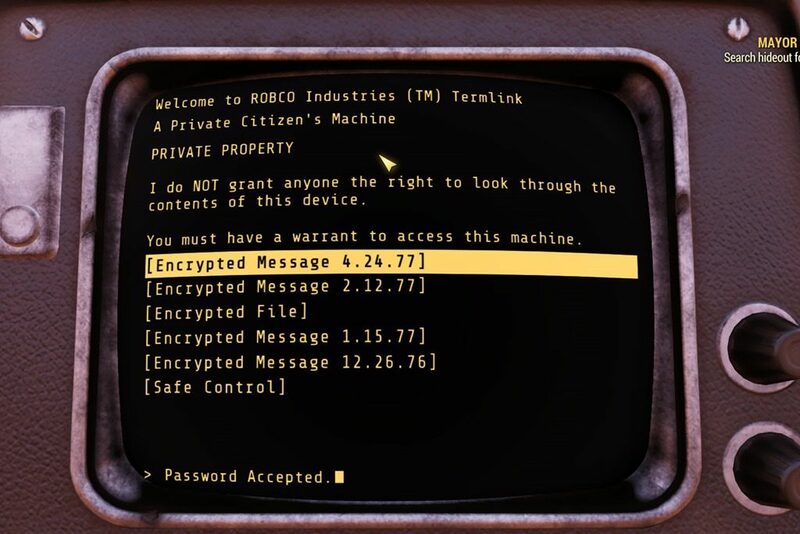 Next, you have to hack the terminal and read Encrypted Message 4.24..77. Finally, you have to unlock the safe from the terminal at the bottom drawer of the cabinet to the left of the desk with the terminal. 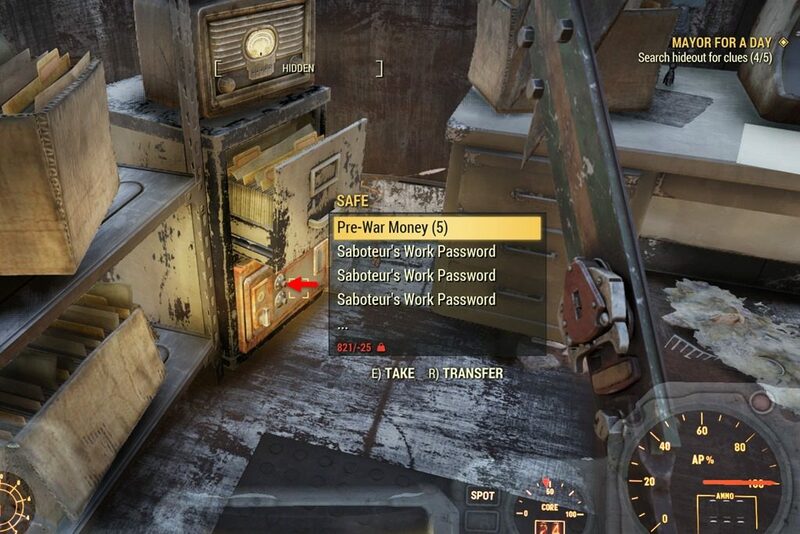 Take one of the Saboteur’s Work Password, then press the Transfer button, open the menu and select the password with the quest marker. 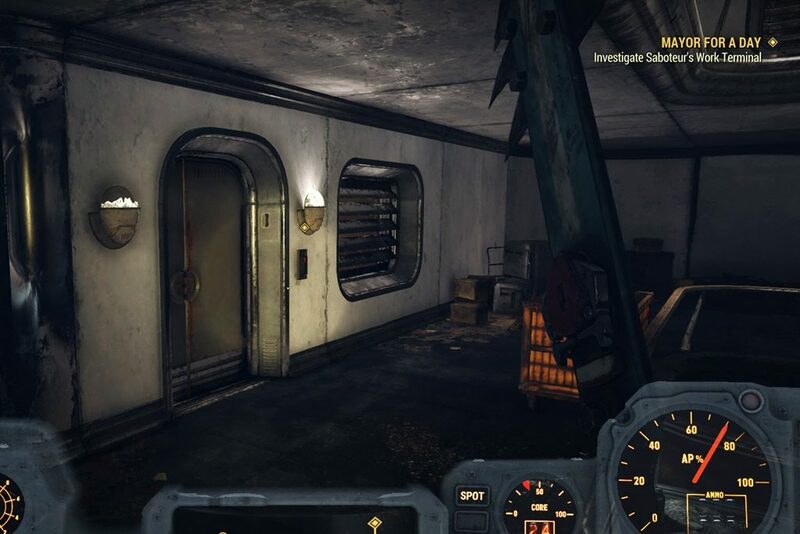 Now go to RobCo Research Center, find the saboteur’s office in the Facilities Management sector of the building. 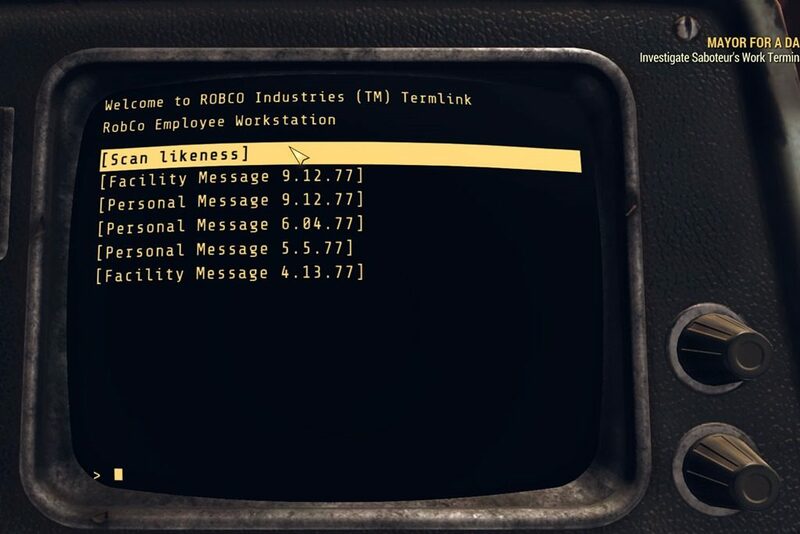 Once you’ve found it, press Scan Likeness on the computer terminal. Go back to the Mayor’s Office and give the Virus Holotape back to MAIA. Get to the roof of the Watoga Municipal Center using the elevator nearby. 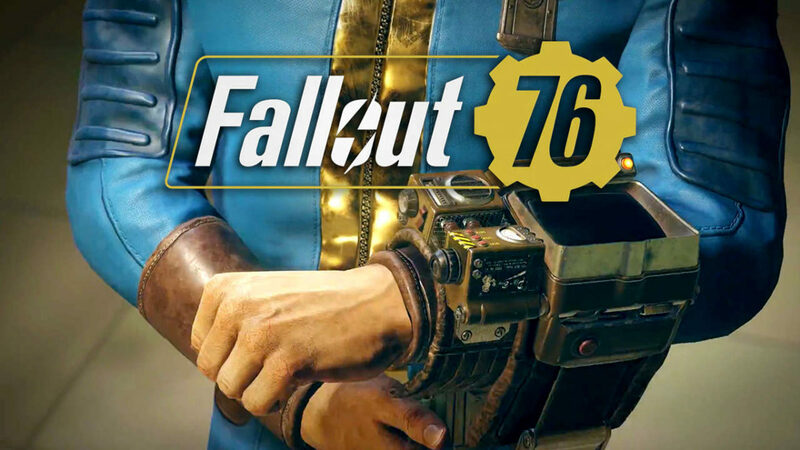 Be careful, here you will need to defend the terminal for 5 minutes while waves of robots and a scorchbeast will make things difficult for you. Once you’ve cleared them all, then the quest completed. Congratulation once again!